With Bell and Telus now selling the iPhone (along with Rogers & Fido), Apple will continue to sell billions of these phones in Canada during Christmas and the holidays. Along with the influx of these new iPhone owners, online forums will get flooded with the same old questions since the first gen iPhone. Are you a new iPhone user? Curious about the world of jailbreaking, and also about maximizing your iPhone experience? Rather than sift through the internet and get bits and pieces of info from all over, Bogdan Nicoara aka murdaFSM (from FSMdotCOM) has taken the time to create a monster-sized, 80 page eBook for passionate iPhone owners to read. Not Your Average iPhone Book. Give Your iPhone A (Jail)Break was written based on the hundreds of emails you sent us everyday. Our goal with this eBook is to take the most common questions and issues and explain them in a well structured step by step guide. If you are new user, or you know your way around the iPhone you will find that this guide has no extra distractions and interruptions. Everything is about the content and the ease to learn. I read through the entire 80 page eBook and the information I found was extremely detailed, well written, visually appealing and easy to read. The information within this eBook can be found easily on the internet. If that’s the case, then why consider buying murdaFSM’s book? Well, for starters the information is rock solid and extremely well organized in a very easy to read eBook. No more sifting through forums or blogs that have scattered bits of info. Everything you need to know related to jailbreaking your iPhone is inside this book. Time is money! Stop wasting time and just learn the ins and outs of jailbreaking immediately, without any distractions. How Much Does This eBook Cost? Why Should I Consider It? murdaFSM knows just as well as anyone that jailbreaking info is freely available on the internet. He is just the first to compile it into an easy to read, well organized eBook. This book is priceless for new iPhone owners to read. If you want to truly master your iPhone, this is the book for you. For experienced iPhone users, this book will not be of interest to you–although I still learned some interesting tidbits while reading this book! Considering it has 80 pages of well researched iPhone info on jailbreaking, the book is priced at $7US. Yes, that’s right–$7US for an extensive book on everything iPhone-related for the cost of two lattes. Spending one hour with this book will bring you up to speed on everything you need to know about jailbreaking your iPhone. 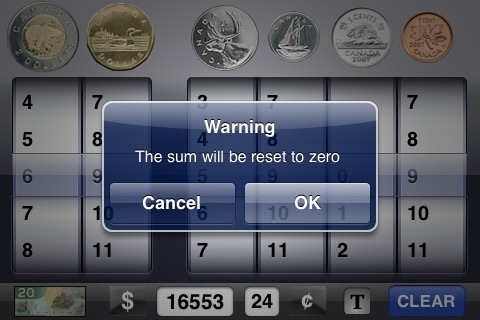 This is a must have if you’ve been curious about the prospects of owning a jailbroken iPhone. Knowledge is power, and you can read up and educate yourself before you attempt anything. I know I’m going to get this for some of my newbie iPhone friends (Jaron–I’m talking to you)! The price won’t stay at $7 for long, so get it while you can. 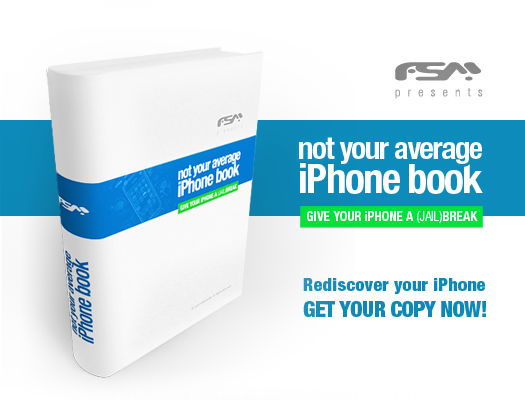 Click here to buy Not Your Average iPhone Book. Once your payment is processed through PayPal, you’ll get access to a download link. Click here to download a preview of the Table of Contents. Contest: Win a FREE Copy of Not Your Average iPhone Book! I just entered to win a FREE copy of Not Your Average iPhone Book! http://bit.ly/NYAIB Follow @iphoneincanada and RT to win! 2. Post a comment below to confirm your twitter entry (just to be safe)! 3. Contest ends Friday, November 20th at 11:59PM! Open to iPhone lovers across the globe!